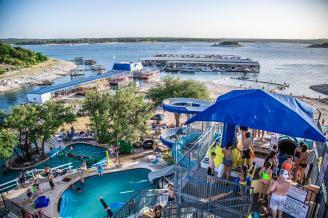 Beach club on Lake Travis features water park with slides, sandy beach, pirate boat and wading area for the kids. Craft rentals available. Open seasonally.